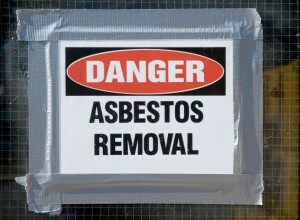 Are you looking for a company to handle your asbestos removal project? Whether you need the asbestos removed from your residential or commercial property, we’ve got you covered at AQHI, Inc.
AQHI stands for Advanced Quality Hazmat Industries. Our name refers to our constant focus on safely removing hazardous materials from properties throughout Southern California in the most effective, safe way every time. We have many licenses and certifications that prove that we are highly qualified to be Rancho Cucamonga’s best asbestos removal company. Request an appointment today by calling 800-481-8080! We’ll gladly provide you with a thorough environmental of your entire property when you call AQHI, Inc at 800-481-8080 for an appointment. Your evaluation can be conducted during the week, and often evening, early morning, and weekend appointments are available if you need that. Using the latest tools, technology, and techniques, we’ll conduct a complete review of your property, checking for common contaminants such as asbestos, lead, mold, PCB, and fungus. Then if we find any contaminants, we’ll devise a plan to eradicate them as safely as possible. We’ll submit this proposal to you, including an estimate of all services, and then if you decide to proceed, we’ll make your property free and clear of hazardous materials ASAP. We’ll also take care of properly manifesting and disposing of any contaminated materials on your behalf in accordance with federal and state hazardous materials laws. AQHI, Inc is Rancho Cucamonga’s best asbestos removal company. You can trust us to handle all your asbestos removal needs in Rancho Cucamonga and all surrounding areas. We’ve been Rancho Cucamonga’s best asbestos removal company for over 27 years, and we look forward to adding you to our long list of thoroughly satisfied clients very soon. Call AQHI, Inc at 800-481-8080 to schedule your first appointment for an estimate today.